Our crystal-clear pool is waiting to refresh you from Memorial Day to Labor Day. Relax in the sun and cool off at your leisure. Our pool is a great way to enjoy Door County’s beautiful summer weather. Begin your Door County adventure with a complimentary continental breakfast served from 8 AM to 10 AM each morning. 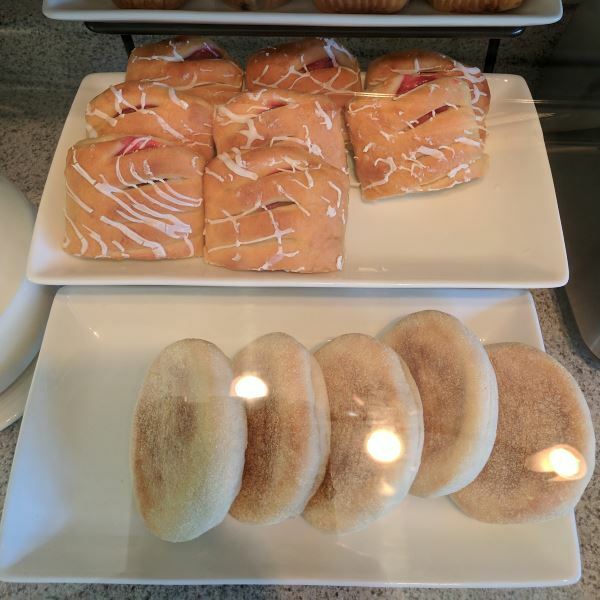 Our delicious and satisfying breakfast will get your day off to a great start! Something is always blooming in our gardens. Keep your eyes open for our wildlife neighbors! Hummingbirds will entertain you as friendly chipmunks, deer, and other birds go about their business here at the Ephraim Motel! 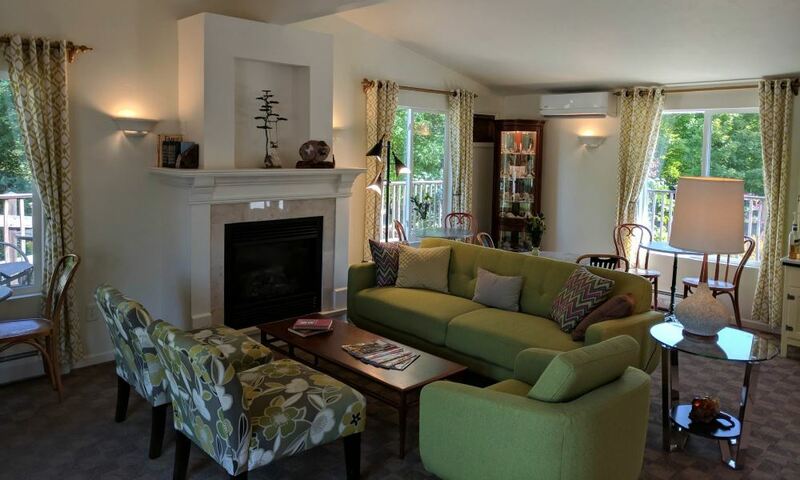 Affordable and Comfortable, Ephraim Motel is your vacation home in Door County! 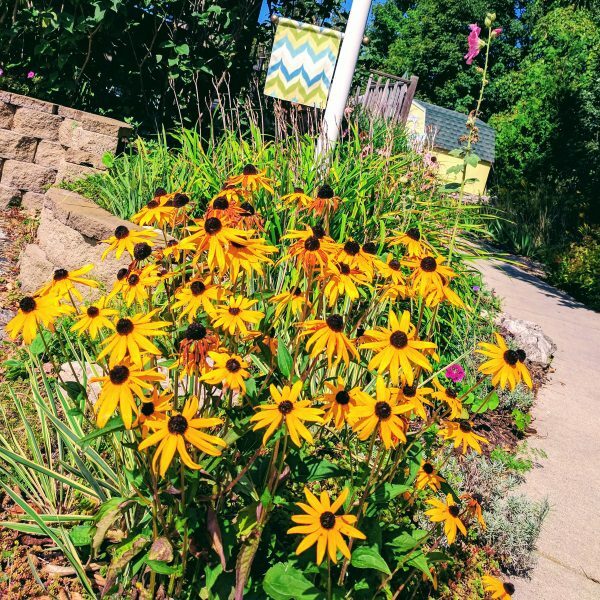 Set among the trees, this relaxed family-run motel along Highway 42 north of Ephraim is a 9-minute walk from the Northern Sky Theater provides affordable lodging for your visit or vacation to Door County. 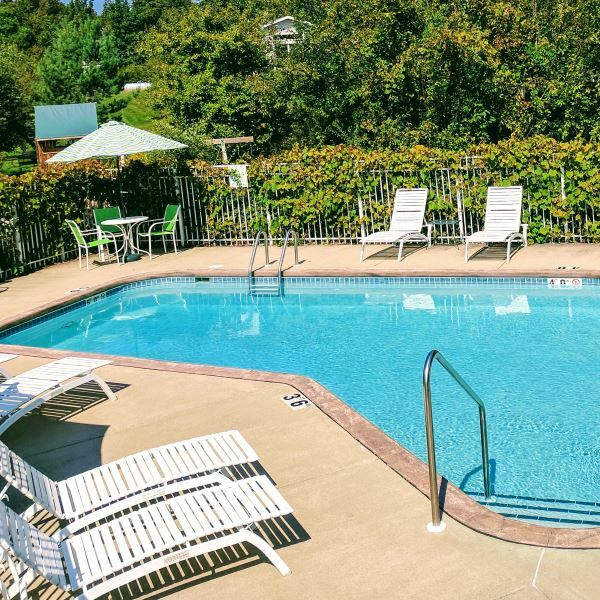 Ephraim Motel is centrally located in the shopping and arts district of North Ephraim amidst beautifully landscaped grounds. Our clean, comfortable non-smoking rooms are all furnished with a refrigerator, microwave, in-room coffee, powerful WiFi, 32″ flat screen TV’s and personal electronics charging station. Enjoy the added value of a daily continental breakfast in our fireplace lounge or while sitting outside on the wrap-around deck overlooking colorful gardens and heated pool. Once on the go, restaurants, shops and galleries are within walking distance of Ephraim Motel. The harbor areas of Ephraim and Sister Bay are within a short 3-mile drive. 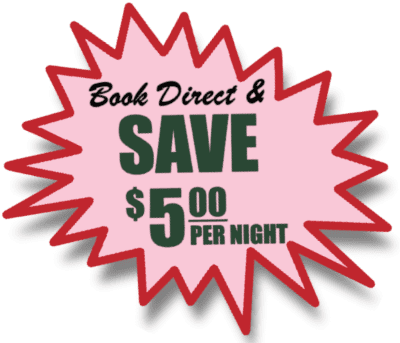 Open from May-October, Ephraim Motel is a modern, comfortable lodging facility with a friendly staff and reasonable rates.